Life can be hard to predict. As you settle into your home and pay off the first few years of your mortgage, the needs and wants of your family are subject to change. In many cases, refinancing can get you a lower interest rate or let you adjust the length of your loan to better fit your situation. Prior to engaging in a refinance loan you should be clear about your financial goals and what you aim to accomplish. Would you like a lower rate? Would you like to trade your adjustable rate for a fixed? Do you need to tap into equity? Do you plan on purchasing a property in cash but would like most of the cash back? Take a look at what these four common refinance loans have to offer, and see what type of refinance loan fits you best. Say you're looking to trade your 7-year adjustable rate mortgage for long-term stability. A fresh 30-year fixed rate loan could be your best bet. If you're not ready to restart the clock on a new 30-year refinance, consider a lower rate and pay off your mortgage faster with a 15-year loan. Refinancing your rate and term could lower your monthly mortgage payments. The mortgage may not be delinquent. The refinance results in a net tangible benefit to the borrower. The Home Affordable Refinance Program (HARP) was introduced in 2009 to help home owners who are underwater on their mortgages. If your loan is owned by Freddie Mac or Fannie Mae and the balance on your loan is more than the value of your home, this HARP can help you lower your rate, get a shorter loan or change from an adjustable rate to a fixed-rate mortgage. Time to apply is short, however. The program is scheduled to expire in December 2018. A cash-out refi allows you to take advantage of current market rates and keep one mortgage loan. If your home is worth more than you owe on your existing mortgage, you may be able to pull out equity and secure a lower interest rate. The tradeoff? A larger loan amount and a prolonged loan amortization. As a general rule of thumb, you may want to consider a cash-out refinance if you need more than $50,000. In order to take advantage of the best rates, you will not want to exceed a 60 percent loan-to-value ratio (what your home is worth versus what you owe) and have at least a 740 credit score. Cash-out refinancing is also something to consider if you're paying cash for a home but need the money back right away. The benefit of paying cash for your home eliminates the stress of meeting the contract deadlines as well as the process of obtaining financing for your purchase. Financing your home with a home equity line of credit allows you to refinance by paying it off with a traditional first mortgage. 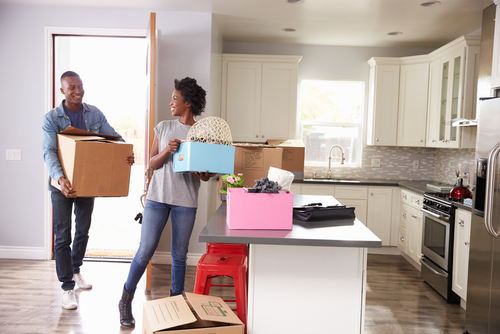 If you have a first and second mortgage, you can combine them into one loan once their balances are low enough to allow this type of refinance loan. The amount of cash you need will determine whether or not a second lien or cash-out refinance is best for your financial needs. Always remember, it's important to have a clear goal when refinancing. If you're looking to buy something superfluous or take an extravagant vacation, none of these refinance loans are good choices for you. Having a clear understanding of your financial goals will help when deciding what type of refinance or second loan you need. Always discuss all of your refinance options with a mortgage professional.